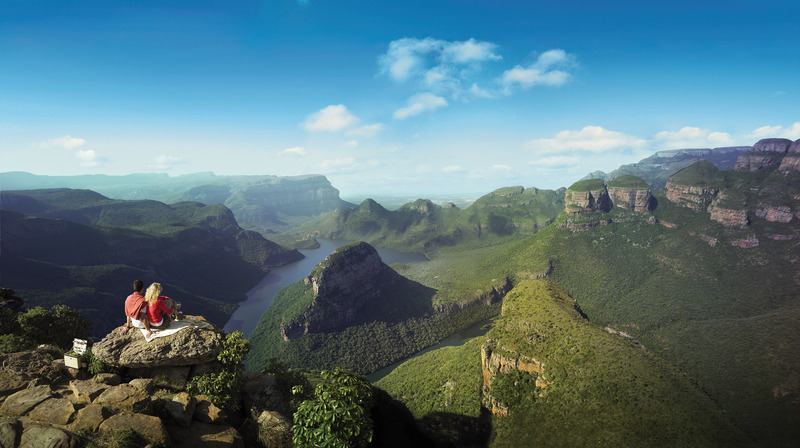 Considering the wealth of natural beauty to be found across Africa, it says something that the Panorama Route in Mpumalanga is widely considered one of the most scenic and dramatic locations on the whole continent. Consisting of a 285km stretch of road through the breathtaking Blyde River Canyon, the route offers a spectacle at every turn, from towering cliffs to plunging waterfalls, lush vegetation to historic gold rush settlements. Although it’s possible to reach the area by long distance bus, being around 400km east of Johannesburg, it’s when traversing the route by self-drive that the full experience can be appreciated – allow at least a weekend, and preferably a full week, to take your own time exploring its wonders. There is no official start or end to the Panorama Route, but the small forestry town of Graskop is well known for being a gateway into the Blyde River Canyon, and makes a popular base for exploration after booking in at Westlodge Bed & Breakfast. The history of the settlement can be dated to 1837, but today it is a thriving tourist destination where visitors can fortify themselves for their Panorama journey with a hearty breakfast from the Guesthouse upon your stay with us. A few minutes outside Graskop is God’s Window, maybe the best known location along the route and certainly one of the most scenic. Named for the heavenly beauty of the vista presented to visitors, God’s Window is a natural vantage point with soaring views into the distant Kruger National Park, and on a clear day even as far as neighboring Mozambique. There’s no denying the impact of the view as 700m cliffs plunge vertically down to a valley floor bursting with verdant plant life. Around 15 minutes drive from Graskop lies the charming village of Pilgrim’s Rest, which owes its founding to the discovery of gold in 1873, and the ensuing influx of panhandlers and prospectors. Mining in the area continued until 1972, but the settlement is now preserved as a living museum of the gold rush years, and was granted National Monument status in 1986. Visitors to Pilgrim’s Rest can enjoy a real sense of a bygone era through traditional, perfectly preserved buildings, and can even try their hand at panning for gold before choosing one of the several pubs and restaurants in which to dine on traditional South African cuisine. In summer, the Panorama area can experience up to 19cm of rainfall a month, and combined with the dramatic rocky landscape this results in some outstanding waterfalls, held to be among the most impressive in the country. Perhaps the most famous is the Mac-Mac Falls, in between the towns of Sabie and Graskop, where the waters plunge 65m down the sheer cliff-side into a churning pool below. Also take time to visit the 94m high Lisbon Falls, as well as The Pinnacle falls, which although comparatively small at 30m, flows over a huge, imposing rock face for a spectacle of real drama. There are certainly some more famous destinations to be found in South Africa and its neighbors, but for sheer beauty, variety, and natural drama, the Panorama Route is hard to beat, and should be high on the list of experiences to enjoy for all visitors to the Rainbow Nation.